I’d only been on one cruise before going on Royal Caribbean’s Mariner of the Seas. 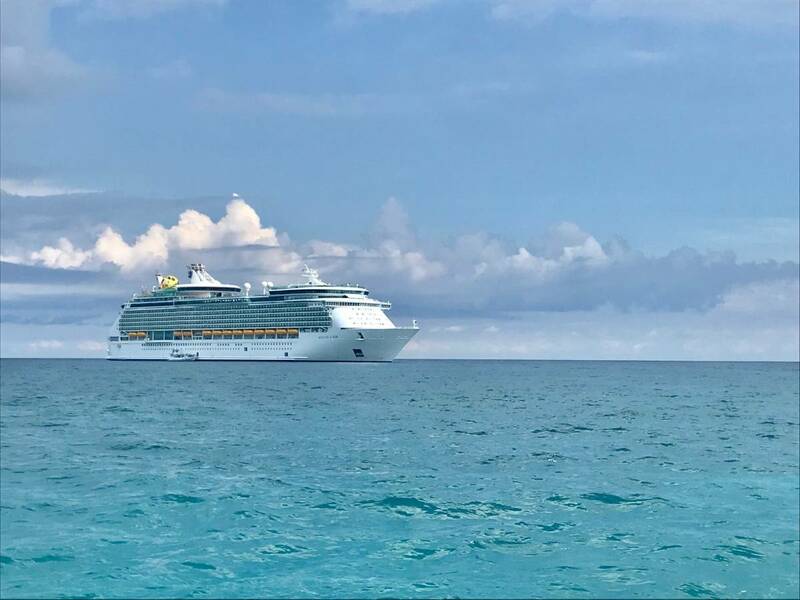 The rival company shall not be named, but suffice it to say my experience with Royal Caribbean blew my misconceptions about cruising out of the water. Here’s my Mariner of the Seas review! 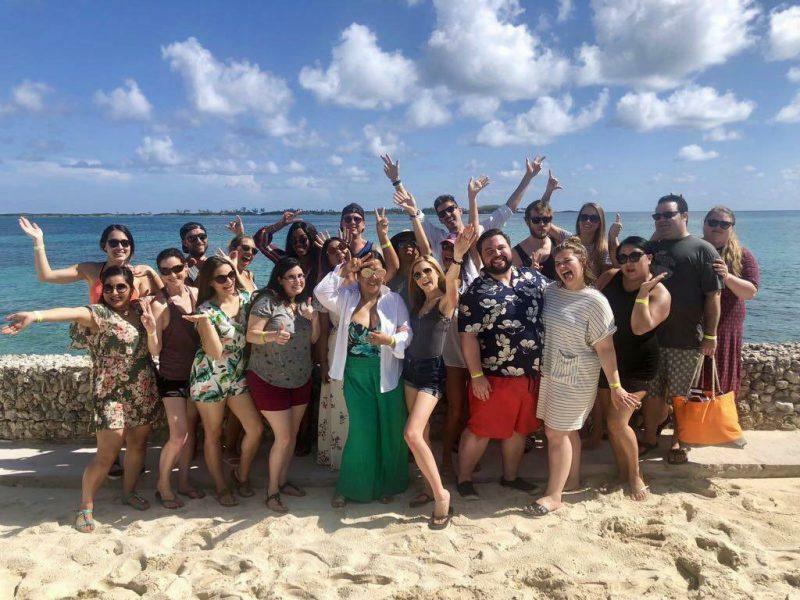 It was mid-July when I set off on a 4-day, 3-night excursion from Miami to the Bahamas, typically not the best time of year to be partaking in tourist-heavy activities. The last thing I expected to do was relax, especially given how many people fit aboard the ship. It was like traveling with your very own city! To my surprise, I had a slow-paced, easy vacation that left me stuffed with food and drink, tanned from two gorgeous days out on the beach and ready to book my next short getaway ASAP. I couldn’t believe that I’d lived in South Florida for so many years without taking advantage of its prime cruise location. 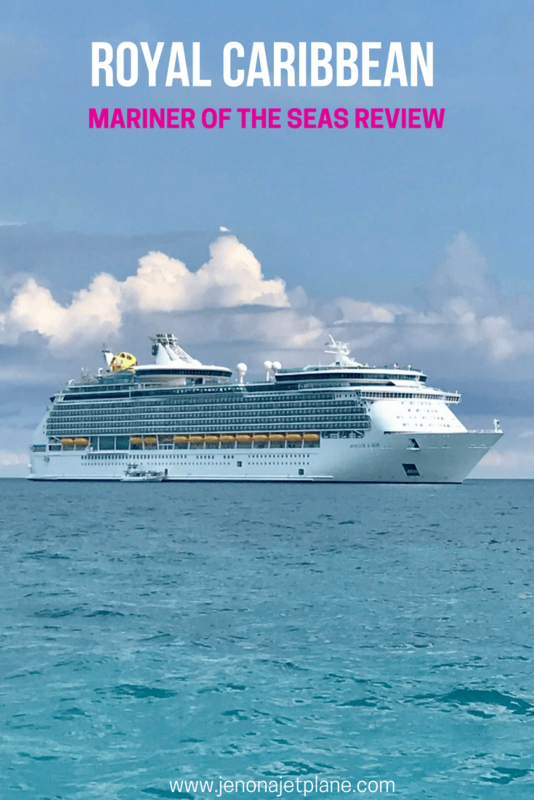 If you’re hesitant about cruising, or just want to learn a little more about the Mariner of the Seas in particular, read on for more information about how you can sneak some Caribbean flavor into your busy life. The Mariner of the Seas recently underwent a $100 million renovation, and it shows. It’s one of five Voyager-class cruise ships from Royal Caribbean and is meant to be the go-to vessel for short trips departing from the Miami/Fort Lauderdale area. It holds 4,000 guests, a number that doesn’t sound like much until you go to use the elevators. There are 16 total throughout the ship, but I found the stairs to be the best bet for quick transport, and as a bonus way to work off all the food I ate on board. There are 15 decks on the ship; my room was on the 8th so ideally situated in the middle. Deck 5 is the main deck where you’ll find a customer service table, shops and most of the bars. Aside from the safety presentation at the very beginning, nothing is mandatory, so you can opt to stay aboard the ship when it docks and enjoy the activities without a crowd. Keep in mind that everything is closed on the last morning when people are getting ready to disembark, so don’t put off riding the FlowRider till the last minute! This was my first time in a cruise room with a balcony, and I can say without a doubt that it was worth it. I have a tendency to get motion sick, but being on the outside of the ship helped with that. Plus, there’s a lot to love about waking up and seeing the Bahamas outside of your window. You can check your luggage upon arrival and wait to have it delivered to your room, or you can carry it on yourself. If you’re in a hurry, try the latter. I also suggest carrying your luggage off the ship as disembarking can be overwhelming and you don’t want to wait for your bag on the sidewalk of the cruise port. Check out these tips for help packing for your cruise. Each room is serviced by your own personal attendant–ours was named Charlie. He introduced himself to us at the very beginning and was responsible for taking care of everything room-related, from double checking that the fridge worked to getting extra towels. I recommend bringing cash to leave your attendant a tip at the very end. It’s the same person throughout your cruise, so there is no need to tip nightly as with housekeepers at a hotel. You’ll receive an envelope for the gratuity if you choose to leave one. Each day, upon returning to the room you’re given a “Cruise Compass,” which has a schedule of activities for the next day and information about the port you’ll be docked at. 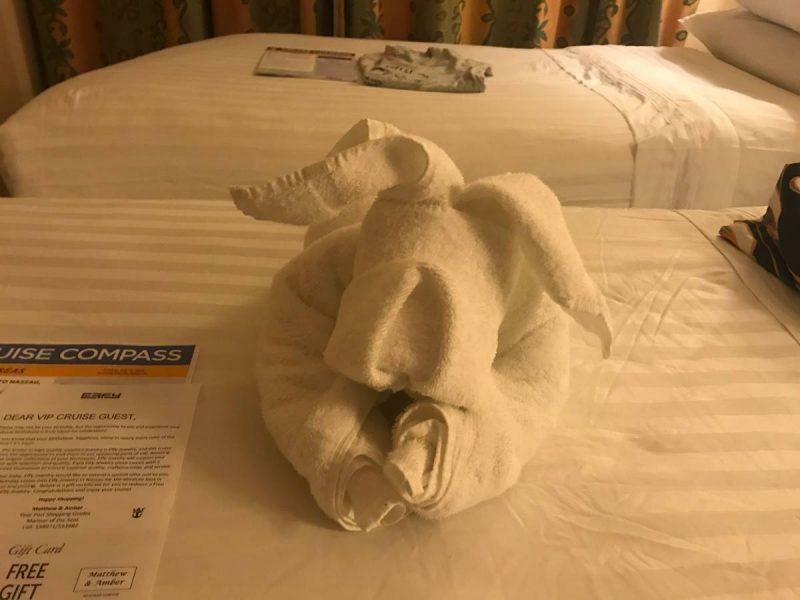 You’ll also find a fun towel animal waiting on your bed. One feature I found especially useful was the interactive maps on every level. It can be confusing to find your way around the ship, especially for first timers, so if you’re lost you can just type your cabin number into the digital map and it’ll give you step by step instructions to get you back to your cabin, or wherever you want to go. The staff is also very helpful and you can find someone on every level to help orient you as needed. If you want fun, head to the top of the ship. 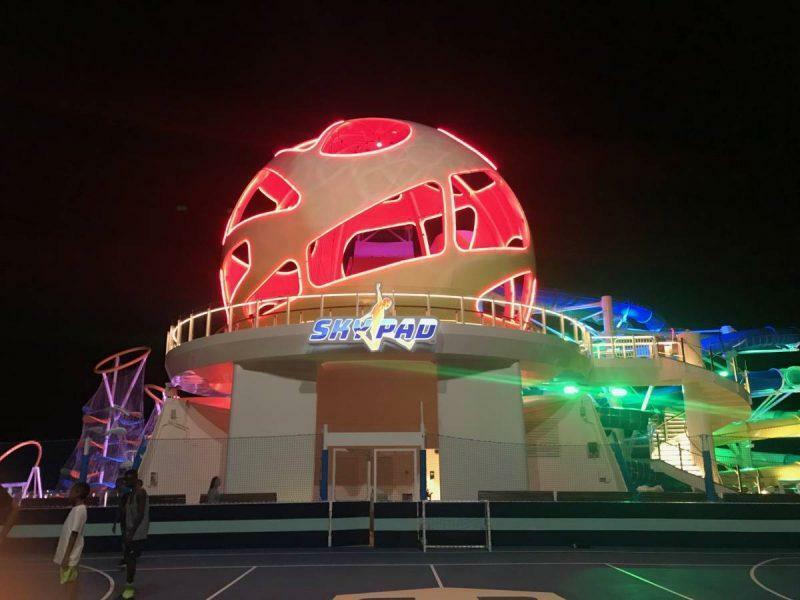 The giant ball that you’ll notice from the cruise port is a SkyPad, a virtual reality center where you jump on trampolines and become the lead character in a video game. There are also two water slides, and the FlowRider wave pool allows for both bodysurfing and actual surfing if you manage to stand up. Note that the surfing hours are restricted as well, so if that’s something you want to do check out the schedule in detail. There’s a blacktop available to play sports (I assume by the Kareem Abdul-Jabbar statue that the main game is basketball but I’ll confess that when it comes to sports I’m out of my element). There are also multiple pools and jacuzzis, some reserved for adults only. My favorite activity by far was the laser tag. You’re paired into two groups and your score is tallied based on your shooting and accuracy. You can see stats like who was most trigger happy and who had the best aim. In addition, there’s nightly entertainment, from karaoke to trivia to art auctions. There are at least a dozen things going on at any point in time (except the last morning–the only thing happening then is preparation to disembark). There is a 3-story dining room on board, but that’s far from your only option when it comes to eating on the Mariner of the Seas. 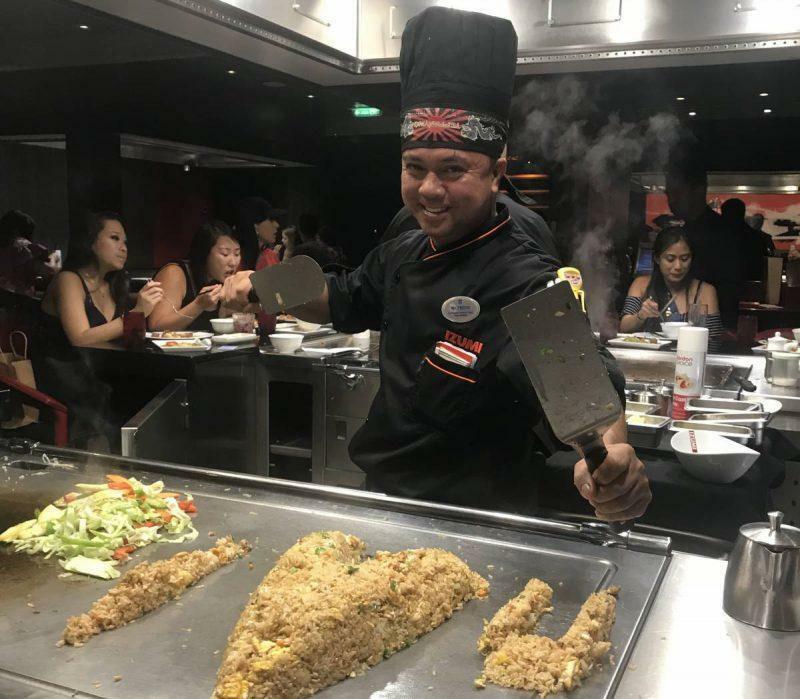 Specialty restaurants like Chops Grille, Jaime’s Italian and Izumi Hibachi & Sushi have world-class dining and the endorsement of celebrity chefs. It costs extra to eat at these restaurants, but can be a nice treat during one of your nights on the ship or to celebrate a special occasion. There are also plenty of places to purchase snacks, and a Starbucks providing coffee for the early risers. Depending on your meal and beverage plan, you could have unlimited access to these amenities. Be aware that the alcohol package does not cover beverages over $12. In the event your drink surpasses that amount, you’ll be responsible for the difference. There’s also a ice cream parlor on board, though I regret that I didn’t have time to make my way there. 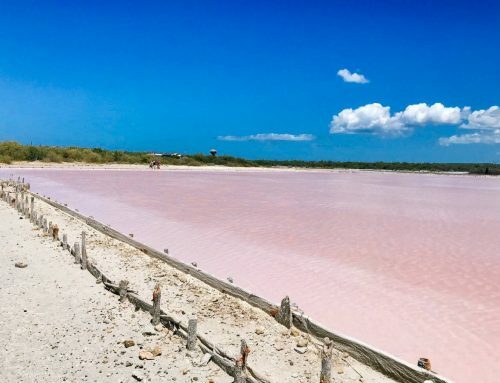 I hear it’s worth visiting daily, however, and will definitely be my first stop on the next trip! 4 days go by fast aboard the Mariner of the Seas. The first day is spent getting your bearings, making sure your luggage arrives to the room and probably going for a welcome drink at The Bamboo Room. 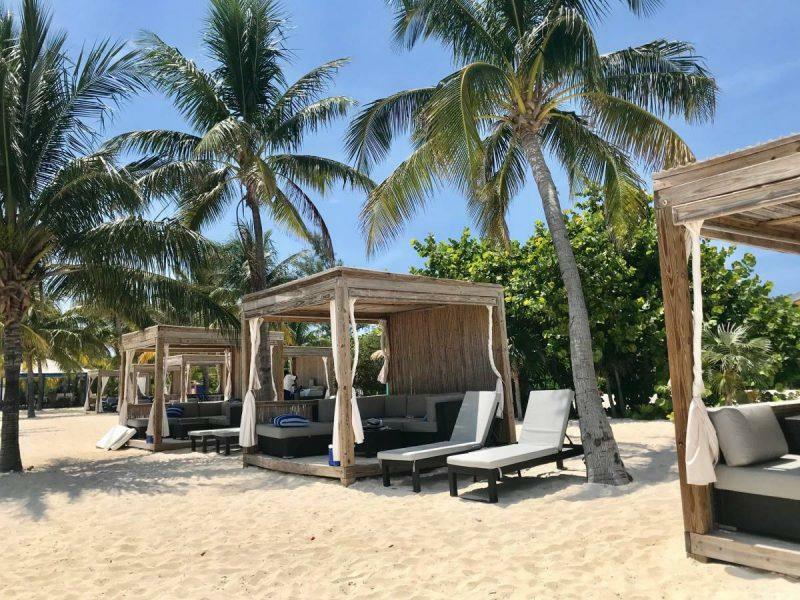 There are activities in the evening but the boat docks early in CocoCay on Saturday morning, so don’t feel bad if you want to take it easy at first. The second day is spent at CocoCay, Royal Caribbean’s private island. The ship leaves from the island around 4pm. If you want to come back a little early, that will be your best time to experience the activities on the top deck with minimal wait times. 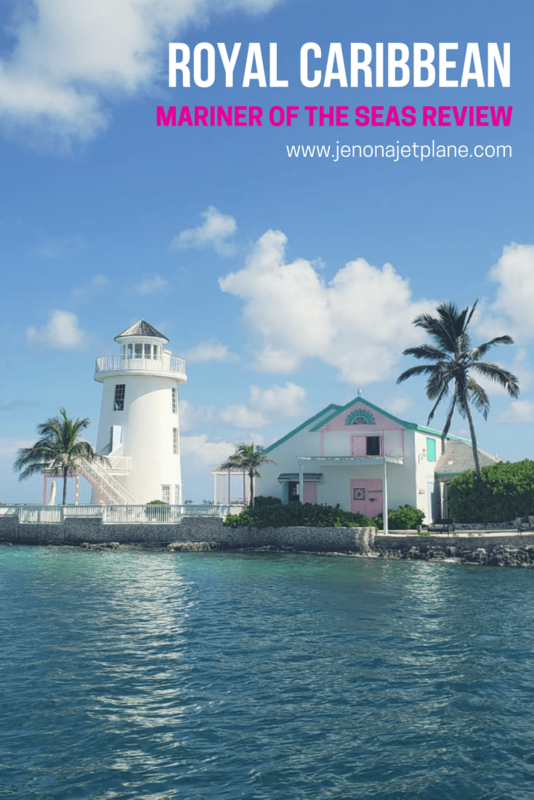 The third day you visit Nassau, with a similar departure time. The last day you disembark. 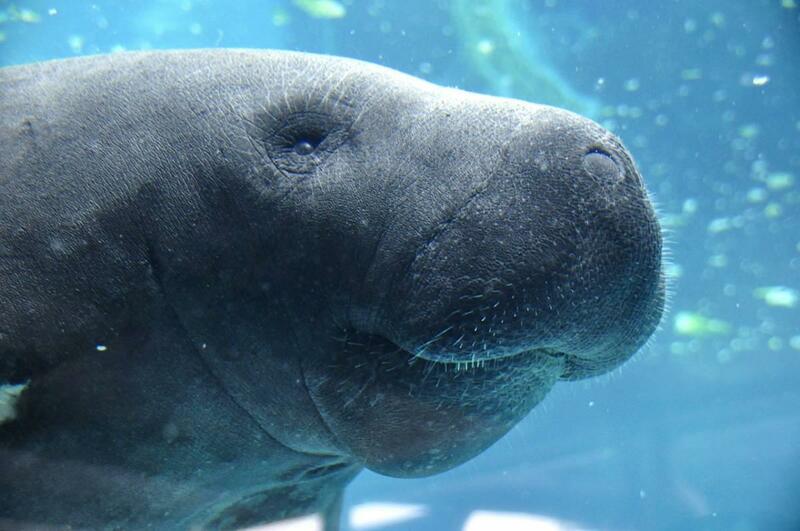 This itinerary is perfect for those in the Florida area looking to get away for a long weekend. It runs approximately 3-4 times a month. Want more Caribbean travel secrets? 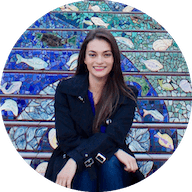 Check out these tips from top travel bloggers! There are trams available to transport guests around the island, and you can book excursions from scuba diving to swimming with stingrays. 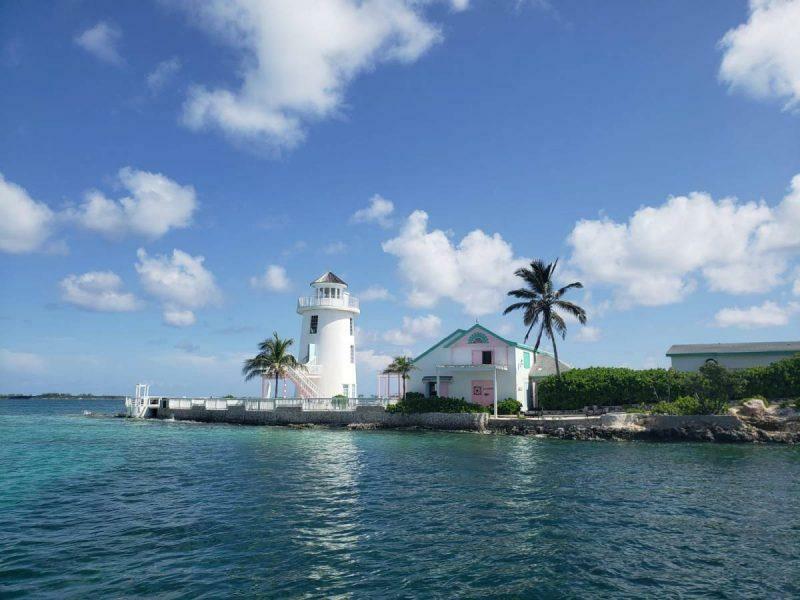 Instead of exploring Nassau, our group opted for an excursion to Pearl Island. In contrast to the masses at the cruise port, Pearl Island is meant to hold around 300 people. It felt more secluded and I was able to enjoy the water and go snorkeling here. The lunch here was probably the best I had the whole trip–lobster and Moro rice. It felt like I was in the Caribbean, and the staff on the island were all locals. Overall, I was impressed by the Royal Caribbean brand. 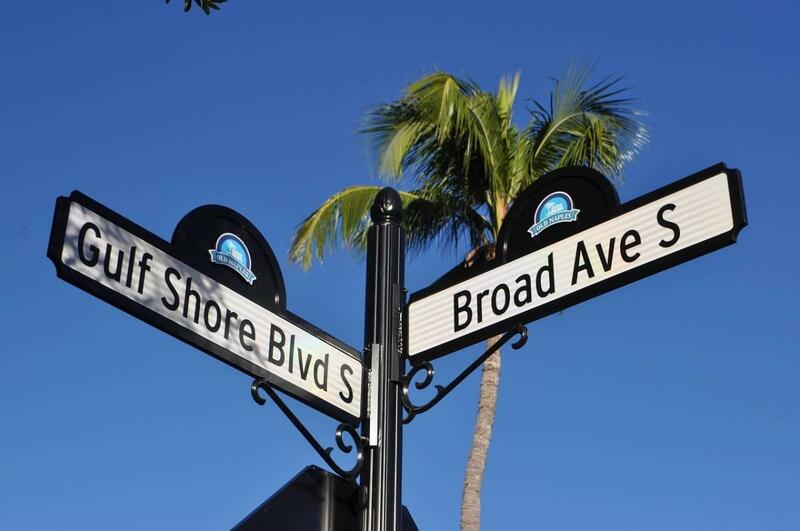 If you live in South Florida and are looking for a quick and affordable escape, rates start at around $250 per person and can add a little spice to the monotony of everyday life. Disclaimer: Royal Caribbean sponsored my experience as part of a press trip. All opinions are my own. Wow this cruise looks awesome! My husband and I are trying to decide whether we should go on our first ever cruise and you may have just convinced me! Help! We are taking this cruise in two weeks, all of the beverage packages are so expensive…are there free beverages available through the day from for example a fountain drink machine? A coffee machine? Hi Laura! Tap water, milk, tea and coffee can be found on board for free at various locations. Bottled water and sodas cost extra. I hope this helps, and have a great time! Hi, I am planning this cruise for my family next month. Is this a good ship for kids I am taking two teenagers? And the CoCo Cay beach does it have activities without the new refurbished side? Hi there! The ship is great for teens, lots of fun activities like the basketball court, water slide and virtual reality game at the top. 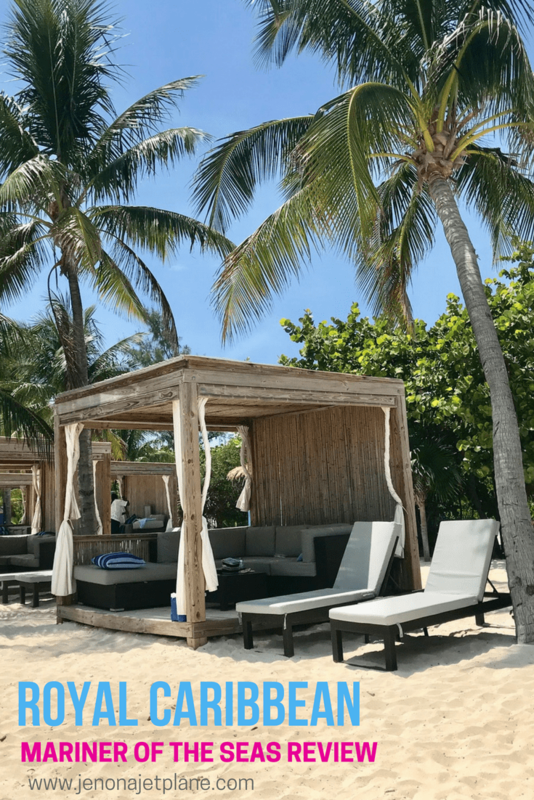 I just hung out on CocoCay, tanned and enjoyed the beach but there are excursions available and lots of activity on the island despite it being under construction. Hope this helps! If it’s a special trip I do recommend the upgrade in restaurants. Some of the places on board are really phenomenal fine dining experience. Izumi Hibachi and Jaime’s Italian were my favorites! And absolutely let them know. I would put that information if there’s a spot for comments on the check-in form and mention it to any crew members you see or your butler. Happy anniversary!